Russian and Ukrainian sources are reporting that a major battle took place near Lugansk. 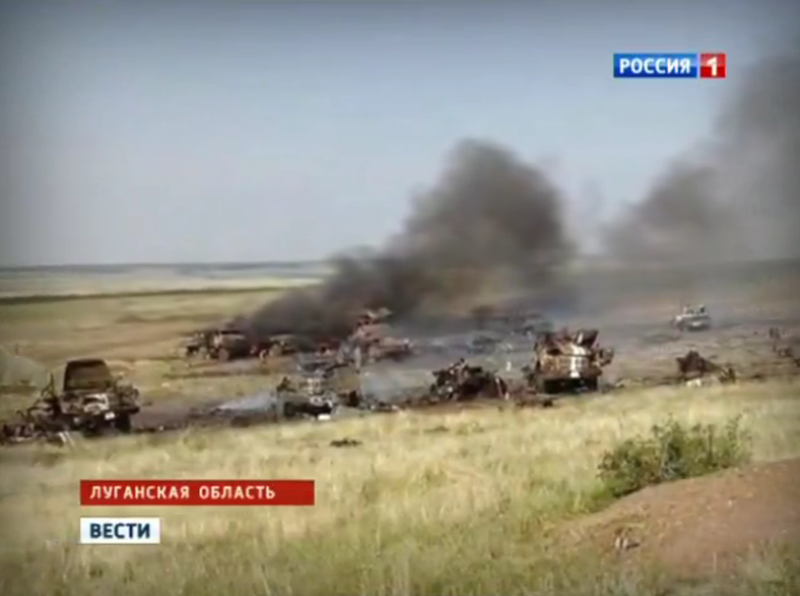 According to these sources, the entire Ukrainian 79th "brigade" was completely wiped off. 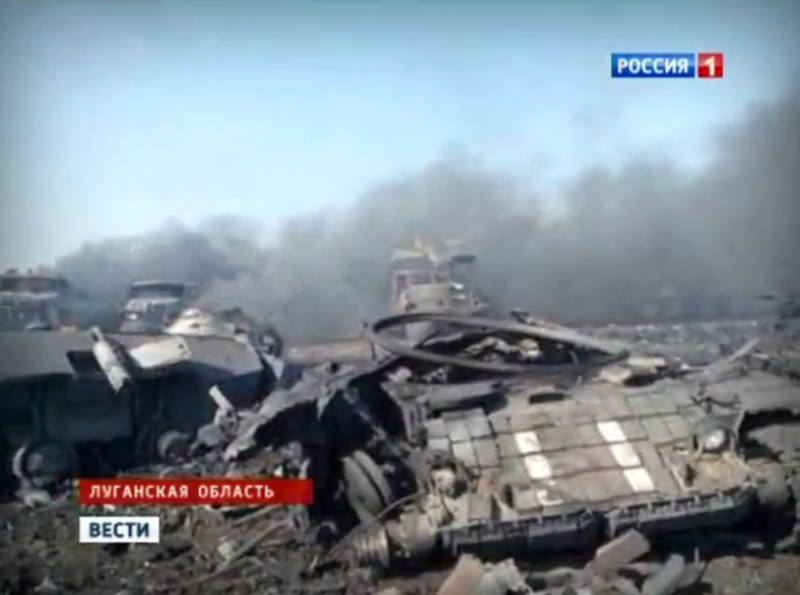 The same Ukie sources report 50 killed and 100 wounded. 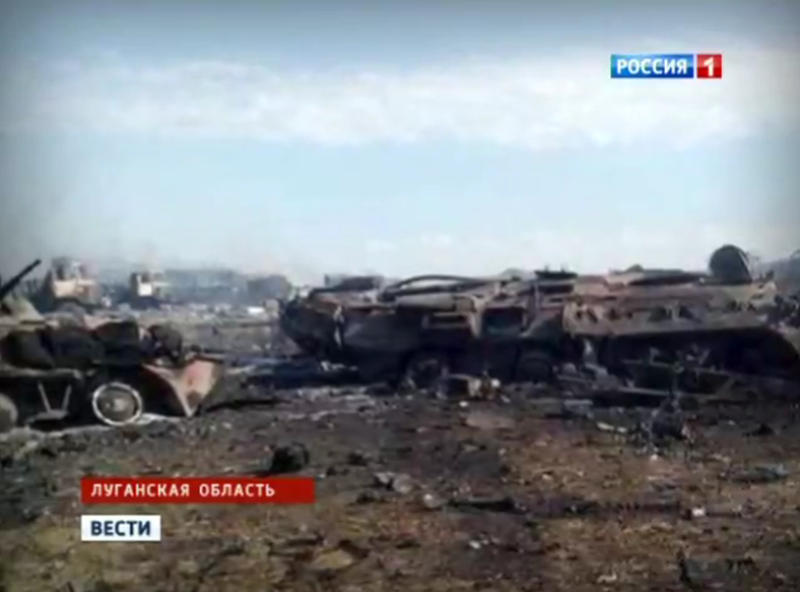 Russian TV spoke of 30 to 150 killed. Apparently, the Ukrainians were attacked at about 4:40AM by MLRS (multiple rocker launchers) fire and when they tried to evacuate they were attacked again by Novorussian infantry. Some Ukrainian sources say that the MLRS fire came from across the Russian border while others speculate that the Resistance acquired. Some sources say that Poroshenko will make an official address today.